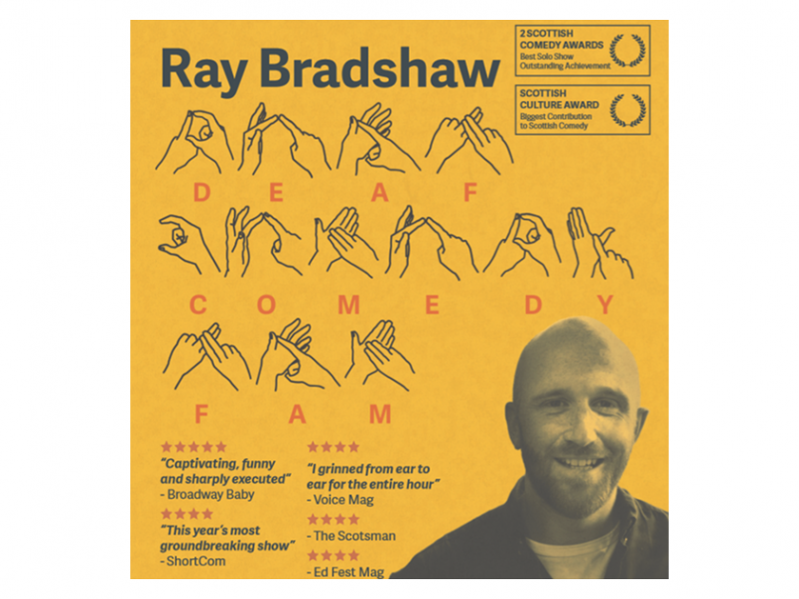 After a sell-out run at the Edinburgh Fringe, and a hugely successful tour of 2018, two-time Scottish Comedian of the Year finalist Ray Bradshaw has extended the tour of critically acclaimed stand up show Deaf Comedy Fam to May this year due to phenomenal demand. 1 in 6 people suffer from hearing loss. Two of those people are Ray’s parents. Deaf Comedy Fam presents a first for stand-up comedy: Ray tells his stories in English as well as his first language, British Sign Language. Growing up with deaf parents, Ray has many hilarious and eye-opening tales to share – including the time he learned that Santa wasn’t deaf! Deaf Comedy Fam is a truly unique show, representing a desire of Ray’s to make the world of comedy more accessible for deaf people – if only to take the pressure off himself when it comes to making his parents laugh. Don’t miss out on the first ever comedy set to be spoken and signed by the stand-up themselves! Deaf Comedy Fam debuted at Glasgow International Comedy Festival and completely sold out, before moving to the Edinburgh Festival Fringe for a critically acclaimed, fully sold out run. Ray has numerous radio credits under his belt with BBC Scotland and BBC Radio 4, supported Ardal O’Hanlon on his recent tour and is a regular guest on Frankie Boyle and Friends. 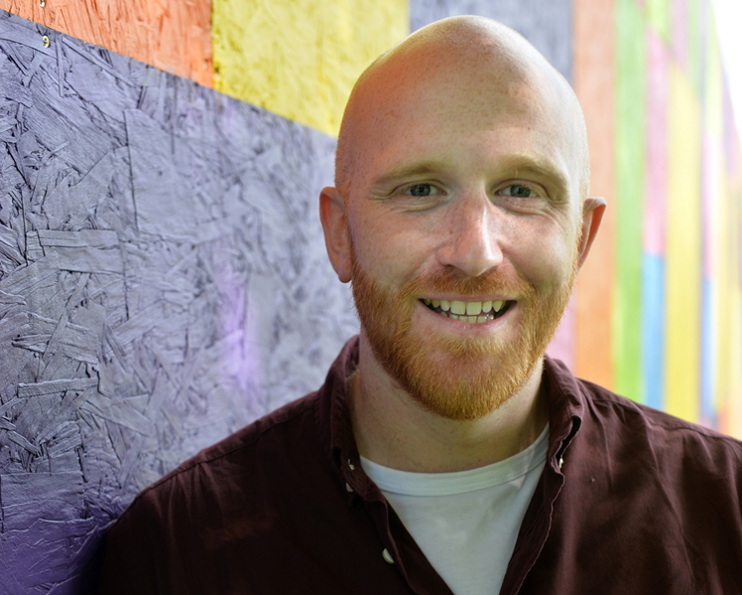 Having launched his comedy career in 2008, Bradshaw has quickly established himself as one of the brightest and most exciting acts on the UK comedy circuit. A two-time Scottish Comedian of the Year finalist, Bradshaw had a total sell-out, smash-hit run with I Dare Ray To… in 2015, as well as two sell-out seasons at Adelaide Fringe in 2015 and 2016. In the past year alone, Ray has performed at Adelaide Fringe, Melbourne International Comedy Festival, Singapore Fringe and the Kuala Lumpur Comedy Carnival amongst others.